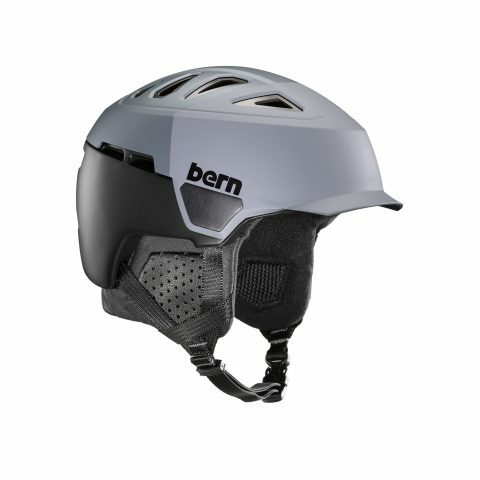 The Bern Heist Brim Helmet boasts an innovative Dual Shell construction combining lightweight Zipmold+ and PVC lower shell, with the durability of an ABS top shell. The ABS covers a liner that uses Energy Absorbing Ribs providing greater impact dispersion with Aluminum Shields for better durability and a killer aesthetic. This particular model is the grey hatstyle, which we love, but other colours are available! BIKE LIGHT COMPATIBLE - These models work seamlessly with our custom bike light collaboration with Portland Design Works (PDW). BOA SYSTEM - A top of the line partner, BOA, provides a dial system for a perfectly tuned and custom fit.